For the hunter seeking a wide variety of game animals, beautiful country, century-old hunting traditions, and the spice of danger, hunting in Africa is an experience unmatched anywhere on Earth. Whether you choose to hunt plains game in southern Africa or take on Cape buffalo and elephant in the wilds of East Africa, a hunt on the African continent will create memories that will stay with you for a lifetime. More than a dozen countries in Africa offer hunting in some form. The countries in southern Africa, especially South Africa, Namibia, and Zimbabwe, are visited by the largest numbers of hunters. Hunting in these countries is accessible and affordable and provides an outstanding experience, especially for the first-timer. East Africa, especially Tanzania, Ethiopia, and Mozambique, holds large wilderness areas and good numbers of dangerous-game animals such as lions, buffalo, leopards, and elephants. Safaris in this region are true to the tradition of the luxury tented safaris of the mid-twentieth century. Safaris in western and central Africa appeal to experienced African hunters in search of very challenging game such as bongo and giant eland. Most hunting in Africa is conducted “safari-style,” where hunters drive around the hunting area in open-topped vehicles searching for game or tracks of game. When game is sighted, hunters stalk on foot, or when fresh tracks are spotted, hunters disembark to follow on foot, sometimes for many hours. There are a few exceptions, such as leopard hunting, which is usually conducted from a blind over bait. With such a wide variety of terrain, countries, and game animals to choose from, hunting in Africa holds something for everyone. We have many different animals species available to hunt in South Africa. Certain animals require permits and therefore require prior arrangement. 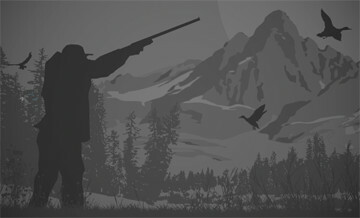 Once you give us a list of the species you want to hunt we can apply for the required permits. 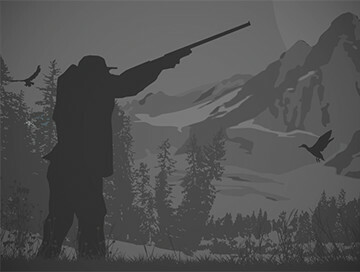 A good hunt on plains game will usually be between 7 to 10 days, depending on whether you are a bow or rifle hunter and how many animals you wish to hunt. In Limpopo Province we hunt on and from our own ranch near the town of Lephalale (formerly known as Ellisras). The ranch is nestled in a beautiful valley, surrounded by the Waterberg Mountains. In addition to our own property; we have exclusive hunting rights to several other game ranches in our immediate vicinity. Terrain varies from rocky mountains to sandy thorn veld and densely wooded areas. Limpopo Province is arguably the most popular hunting destination in South Africa and our areas consistently produces excellent trophies. If you're looking for big kudu - Limpopo is the province and we have the areas and track record to get them for you. The hunt is conducted on a 1x1 basis.